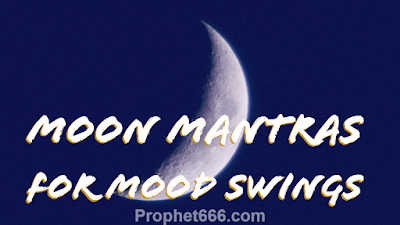 People who have a weak Moon in their Kundali and others who are facing some problems or fear experience mental turbulence during the period of Purnima and Amavasya and 2-3 days before or after these dates. The Moon Mantras given below are considered to be effective in restoring the mental balance of an individual experiencing severe mood swings. These are simple to chant, but most effective and helpful Chandra Mantras, which have appeared on this site many times over the past few years. Chanting any one of the 4 Moon Mantras given above will enhance the mental health of an individual and give him mental peace and relieve him of his fears, phobias and depression. The recommended number of Mantra Chants is 108, the practitioner can use a Rudraksha, Silver Beads or Pearl Japa Mala for counting the number of Mantra Chants. There is no need to perform any Puja-Vidhi or ritual and only the chanting of the selected Moon Mantra is sufficient. The chanting of the Mantra will also be helpful for those individuals who striving for paranormal powers like, extra sensory perception, seeing the future in visionary dreams and Mantra Siddhi. The Mantra will have a soothing effects on the digestive and nervous system, especially in women who are experiencing menstrual cycle related problems. The Moon Mantra will also enhance the inner and external beauty of the practitioner. यजुर्वेद के पारमात्मिक उपनिषद में सोम की उत्पत्ति से सम्बंधित स्तोत्र है ,जिसमे चन्द्रमा के क्षीण होने और वृद्धि प्राप्त करने का रोचक वर्णन है . Kitne din tak regularly करने के baad asar Start hoga?? can i use the rudraksha mala which i am wearing for mantra chanting...?